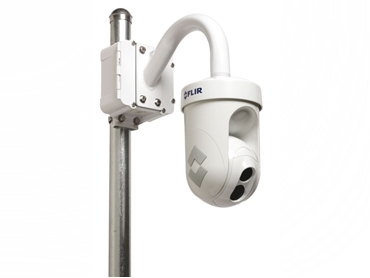 FLIR Systems Australia has introduced new D-Series outdoor thermal security cameras that can detect intruders and other threats in total darkness and in bad weather. These security cameras are housed in a discrete dome-style enclosure. FLIR Systems says they are the perfect replacement for day/night dome cameras, providing clear 24/7 imaging capability. As standard, they feature a 320 x 240 thermal imager, along with a daylight/lowlight 36X zoom colour CCD camera. They are now also available with a lens range that includes the 640 x 480 thermal resolution for four times better image quality, range and clarity. The cameras provide precision pan/tilt control while providing fully programmable scan patterns, radar slew-to-cue and slew-to-alarm functionality, and can be seamlessly integrated into new or existing TCP/IP networks. FLIR Sensor Manager single-device version included.